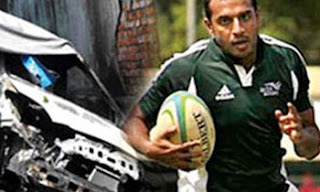 Narahenpita Crimes OIC Sumith Perera, who was remanded over the death of ruggerite Wasim Thajudeen was released on bail by Colombo High Court judge Manilal Vaidyathilaka today. He was released on a cash bail of Rs. 100, 000 and with three sureties of Rs. one million each.